Phonics and Word Study for the Teacher of Reading is a self-paced, self-instruction program designed to help teachers independently develop a comprehensive background in phonics, syllable and accent patterns, onset-rime, the morphemes that contribute to word meaning, and phonological and phonemic awareness. The unique structure of the book is set up to ensure learning success through a careful sequence of material that guides readers through the material, coupled with a number of pedagogical aids that check reader understanding at various stages in the learning process. Throughout the book, readers see how to connect the information they’re studying with grade-specific learning expectations described in the Foundational Skills strand of the Common Core State Standards. Reinforce previously learned phonics skills while exploring base words, suffixes, synonyms, and antonyms. Dictionary skills are also introduced. Book 3 of a three-book series to help students develop reading skills. This accompanies books 1, 2 & 3. It provides daily guidance for each of the corresponding pages in Student Books 1, 2 & 3. A classic in the field, this practical, self-paced tutorial allows readers to independently study and learn the important aspects of phonics, phonemic awareness, and word analysis they need to know in order to succeed on teacher certification or competency tests. The format allows readers to check their knowledge throughout, and two posttests at the end of the book may be used to ensure mastery of the content. Designed to save course time and maximize students’ control over their learning, the book prepares students for the state reading examinations now required in many states. Highly respected authors Donald J. Leu and Charles K. Kinzer focus on phonics, phonemic awareness, and word analysis, yet show clearly the importance of readers bringing meaning to texts as they decode meaning in printed materials. The Tenth Edition of Phonics, Phonemic Awareness, and Word Analysis for Teachers: An Interactive Tutorial features expanded sections on instructional practice in each section; Take a Look videos and Apps features with links to websites with author-vetted video clips and apps that further explain or extend chapter content; updated online resources in each chapter; increased attention to meeting the needs of English Language Learners and Struggling Readers; and guidance on how to quickly diagnose students’ developing awareness of their phonics, phonemic awareness, and word analysis skills by analyzing their writing. Give students opportunities to review and practice phonemic awareness and alphabet recognition skills while introducing them to phonics concepts. Book 1 of three-book series to help students develop beginning reading skills. Suitable for ESL and intervention programs. If purchasing or renting from companies other than Pearson, the access codes for the PDToolkit for Words Their Way® may not be included, may be incorrect, or may be previously redeemed. Check with the seller before completing your purchase. Written for professional development facilitators and their program participants, literacy coaches, reading specialists, and classroom teachers, this text can also be used in the Reading Methods (Supplementary) or Phonological Awareness and Phonics course. Words Their Way is a hands-on, developmentally-driven approach to word study that illustrates how to integrate and teach children phonics, vocabulary, and spelling skills. Building on its best-selling approach, this edition of Words Their Way continues the phenomenon that has helped thousands of children improve their literacy skills. The keys to this successful, research-based approach are to know your students’ literacy progress, organize for instruction, and implement word study. This Sixth Edition lists the Common Core State Standards for each activity, and features enhanced discussions, activities, and content. To offer teachers even more tools that will enhance their word study instruction, all new classroom videos and interactive PDFs are available on the PDToolkit site*. With its newly designed marginal icons that link readers to resources on the accompanying web site, Words Their Way, provides a complete word study package that will motivate and engage your students, and help them to succeed in literacy learning. *The PDToolkit is available free for twelve months after you use the password that comes with the book. After twelve months, the subscription must be renewed. To learn more, please visit: http://pdtoolkit.pearson.com. Give students additional practice in more advanced phonics concepts such as consonants, vowels, blends, and digraphs as well as an introduction to diphthongs, prefixes, synonyms, antonyms, and homonyms. Book 2 of a three-book series to help students develop beginning reading skills. Suitable for ESL and intervention programs. This bestselling book provides indispensable tools and strategies for explicit, systematic phonics instruction in K-3. Teachers learn effective ways to build students' decoding skills by teaching letter-sound relationships, blending, word building, multisyllabic decoding, fluency, and more. The volume is packed with engaging classroom activities, many specific examples, and research-based explanations. It offers a complete phonics assessment and clear guidelines for sequencing instruction to give every student a strong foundation for reading. More than 30 reproducible forms and word lists are included in the appendices. Purchasers get access to a Web page where they can download and print the reproducible materials in a convenient 8 1/2" x 11" size and find a wealth of supplemental teaching resources. *Six additional chapters covering key topics, including assessment, phonemic awareness, orthography, and automaticity. *A complete phonics assessment with administering and scoring guidelines. *Downloadable forms and word lists, plus a companion website with rich supplemental resources, including word/syllable cards, assessment tools, and illustrated stories featuring target words, which teachers can project or print for classroom use. 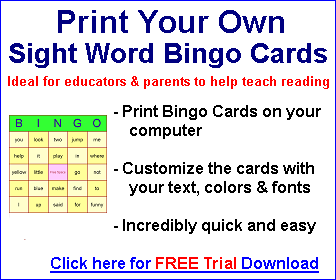 *More classroom examples and "Your Turn" activities, as well as expanded word lists. See also Bringing Words to Life, Second Edition: Robust Vocabulary Instruction and Creating Robust Vocabulary: Frequently Asked Questions and Extended Examples, by Isabel L. Beck, Margaret G. McKeown, and Linda Kucan, which provide essential tools for K-12 vocabulary instruction. Detailed lesson plans include phonemic awareness, phonics, vocabulary, comprehension, fluency, and writing. Cross references levels 4, 5, & 6 workbooks, storybooks, and CD at point-of-use.